Most people think that when they get Neck or Shoulder Pain, it will eventually go away on its own. That they’ll wake up one morning and like “magic”, it’ll be as if it never happened… But then 6 months later you’re still living with nagging pain even worse than it was when it came on. We frequently see patients who’s physician recommended one of the following: rest, painkillers, or wait and see – but then 6 weeks later, they end up going back to the same Doctor again because it hasn’t got any better, only to be given ANOTHER prescription of even stronger pills. Maybe you are confused because you’ve been told different things, by different people. 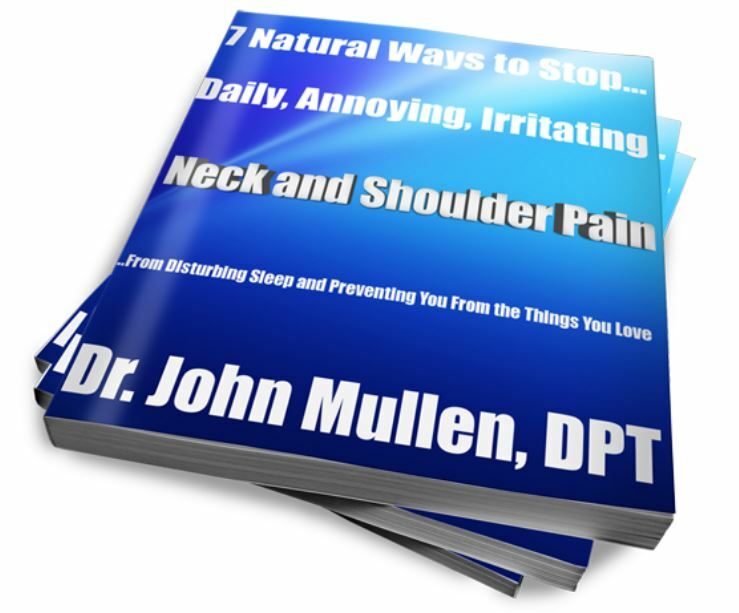 Maybe you think you have a neck problem – but it’s actually referred pain from your shoulder? Determining the underlying cause of neck and shoulder pain can be confusing. This often leads people to procrastinate or putting off making a decision about what to do to help fix their Neck and Shoulder pain. Worse, many people just end just accepting it as ‘part of life’ – as if it’s normal as if it “has” to be that way. 2. Next, do the RIGHT exercises – one of the best things to help you ease your neck and/or shoulder pain is to do the right series of progressed exercises – the right exercises given to you by a physical therapist will help reduce pain, and allow you to move freely again quick – and make sure that the problems don’t come back any time soon. 3. Avoid sitting and sleeping in awkward positions – ever woken up with a painful neck? Or, after a long day spent sitting felt tightness in your shoulders? That’s because one of the worst things you can do that adds to neck and/or shoulder pain is sitting with bad posture, and sleeping in awkward positions. It would really help if you were given appropriate strengthening exercises for better posture, alongside hands-on treatment, to get you active and healthy as quickly as possible. 4. Get real, “hands-on” Physical Therapy – physical therapy is proven to help people with neck and shoulder pain. In fact, at the COR it’s one of the most common issues we see. If your neck and/or shoulder pain is affecting your job, if your sleep is disturbed by tightness or tension in your shoulder, if it stops you from keeping active, or if it threatens your independence and gets in the way of spending quality time with family and friends – Physical therapy can help get you back to living the life you deserve as quickly as possible. How can choosing to see a Physical Therapist at COR, help you get rid of Neck and/or Shoulder pain?